I got short changed when brows were being handed out and my two sorry excuses for brows are the reason I got serious brow envy the second I landed in Kuwait. Almost everyone has amazing well groomed brows! I say almost as we have our fair share of ridiculous sharpie brows, seriously, not a good look. While we're on the same topic, trying to channel an oompa loompa isn't ideal either, lose the orange foundation, it doesn't make you look more tanned. In order to compete with the naturally gorgeous locals, I started filling my brows in haphazardly, though not perfect, it made a world of difference. It was only early this year that I actually learned to do it the right way and it was surprisingly in a MAC store at the Airport of all places! Ask for Cici by the way, she is amazing! She instantly sat me down, picked out my perfect brow shade and introduced me to an array of products I should be using. I had no idea brows were this complicated! Cici demonstrated on one of my brows and then handed me the brush and asked me to do the other while giving me a truckload of tips along the way. I came away with just the brush and powder, baby steps, but I'll be back for the brow mascara next time. To fill in my brows, I got the Espresso Eyeshadow, which has a true matte finish. For some reason, this doesn't swatch all that well and looks quite patchy, but when used with a firm angled brush, the colour pay off is quite good. 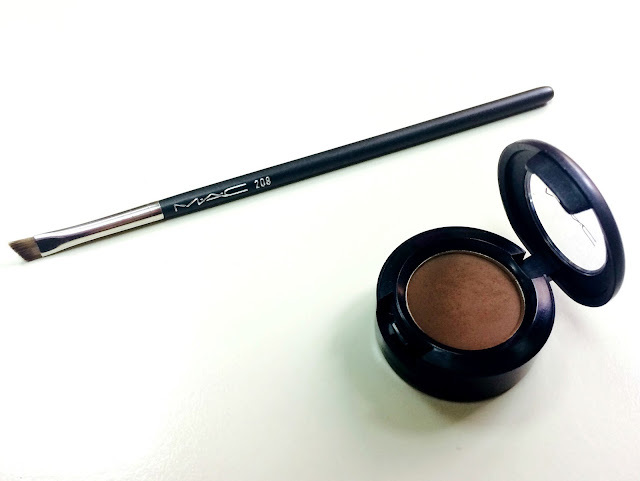 Its the perfect shade for my brows (I'm an NC42), a gorgeous neutral dark brown that is long wearing. I don't think I'll ever use this as an actual eye shadow though. The brush I picked up is the 208, a small angled brush with densely packed firm bristles. The 263 or the 266 will work just as well, however the 208 is slightly smaller, more precise and easier to use, perfect for newbies. 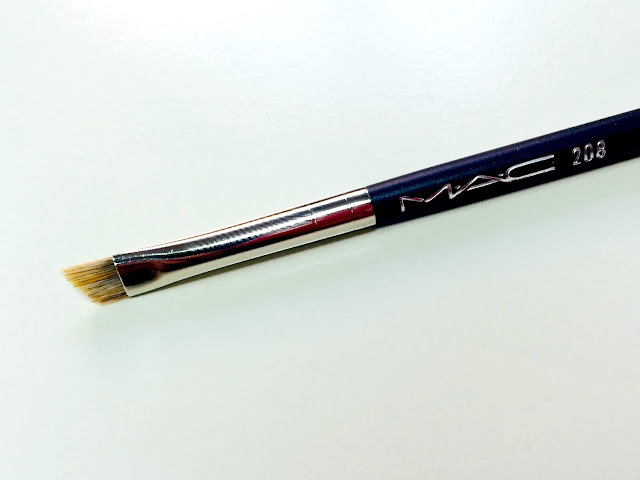 The shadow retails for 7.5 KD and the brush 9.5 KD, which is a rather large chunk of change to be spending on such a small brush, however the brush will last you a lifetime and a half and is a definite investment. Try both out next time you're at Mac. You won't be disappointed.